The LA84 Foundation presented its 5th annual Summit on Thursday, October 27th at the JW Marriott Los Angeles L.A. Live. The Summit was standing-room-only with 400 attendees and brought together civic leaders, sports industry executives and top athletes including, Los Angeles Mayor Eric Garcetti, Los Angeles Kings President Luc Robitaille and Chairman of the LA 2024 Bid Committee Casey Wasserman, as well as Olympians Janet Evans, Ibtihaj Muhammad and Gary Hall Jr. among others. 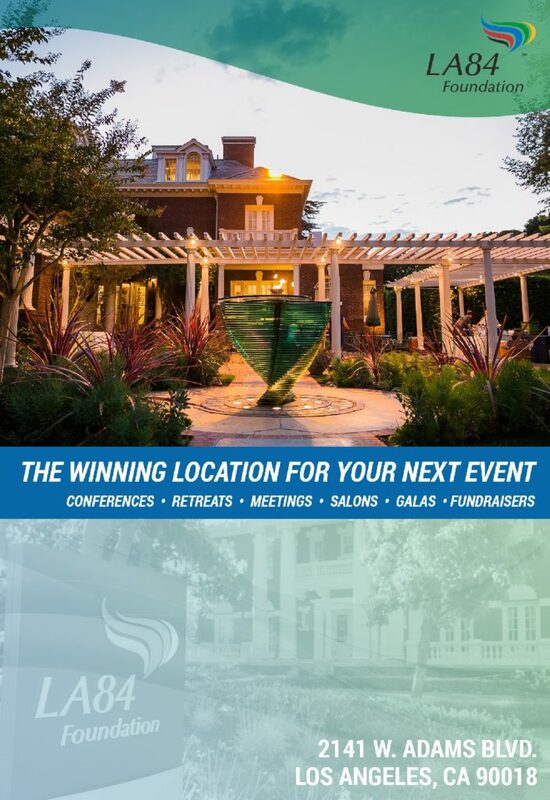 Emceed by Olympic gold medalist and World Cup-winning soccer player Julie Foudy, the Summit was themed PLAYING FORWARD: The Present and Future of Youth Sports, highlighting the LA84 Foundation’s commitment to leveling the playing field and reinforcing the importance of youth sports. 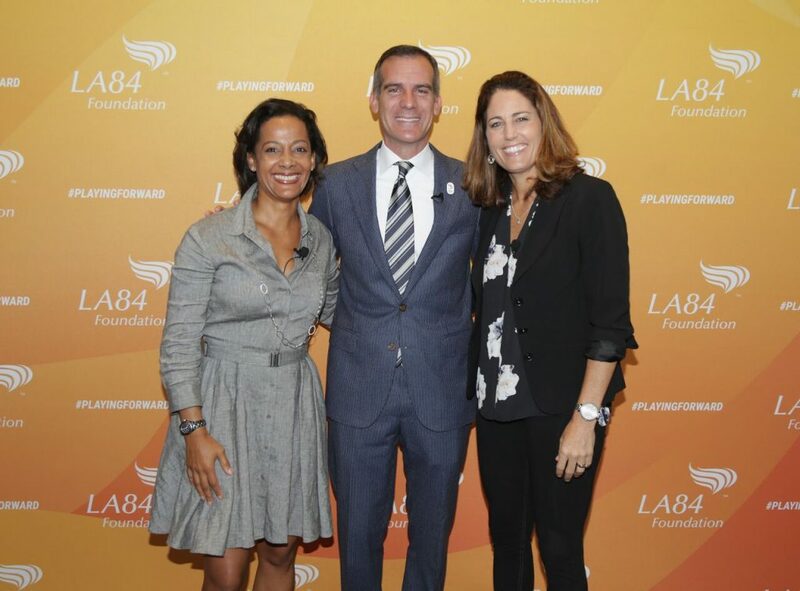 The Summit kicked off with an address from Mayor Eric Garcetti and opening remarks from LA84 Foundation President and CEO Renata Simril. In a day filled with calls for positive change and collective solutions, the LA84 President set the tone early on. “Today demonstrated the power of sport to drive social change, it’s meaningful that we’re literally saving kids’ lives by the work that you all do,” stated Simril. 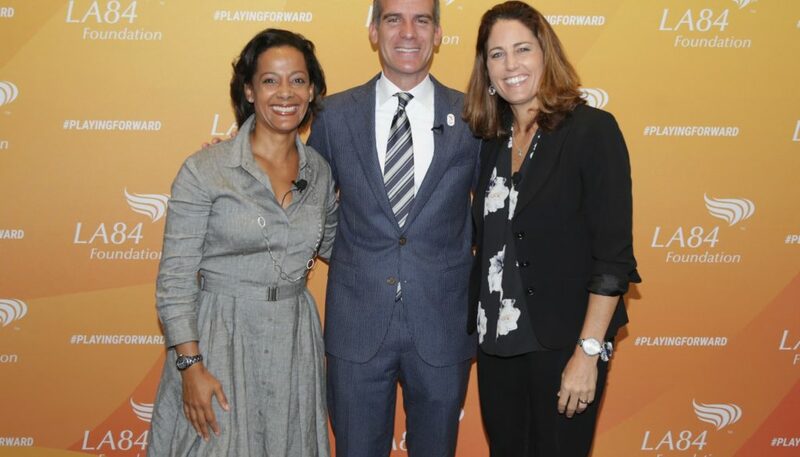 LA84 President/CEO Renata Simril, Los Angeles Mayor Eric Garcetti and Soccer legend and emcee Julie Foudy kicked off the 2016 Summit. 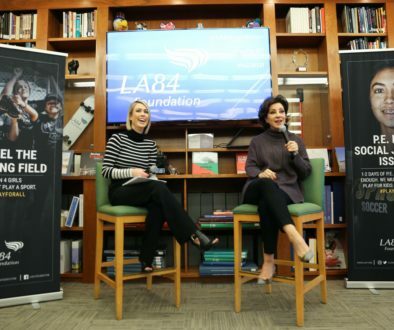 Later in the day, Olympian and Vice Chair and Director of Athlete Relations of LA 2024 Janet Evans and Chairman of LA 2024 Casey Wasserman tackled the important topic on the impact of the Olympics on youth sports in the LA area. The LA84 Foundation Summit not only addressed the power of youth sports, but also shared the results of a first of its kind Los Angeles County Youth Sports Participation Survey. 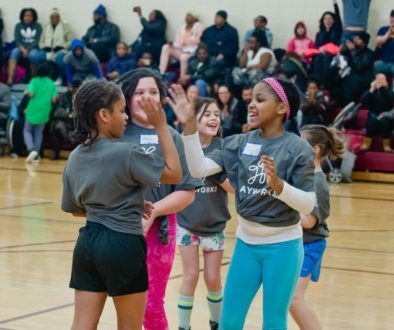 The survey found that the LA youth sports participation rate was higher than the national average in 16 of the 20 sports analyzed and more than 80 percent of youth between the ages of 6-17 in the Los Angeles area are active in sports. The full report is available for download on LA84’s homepage. 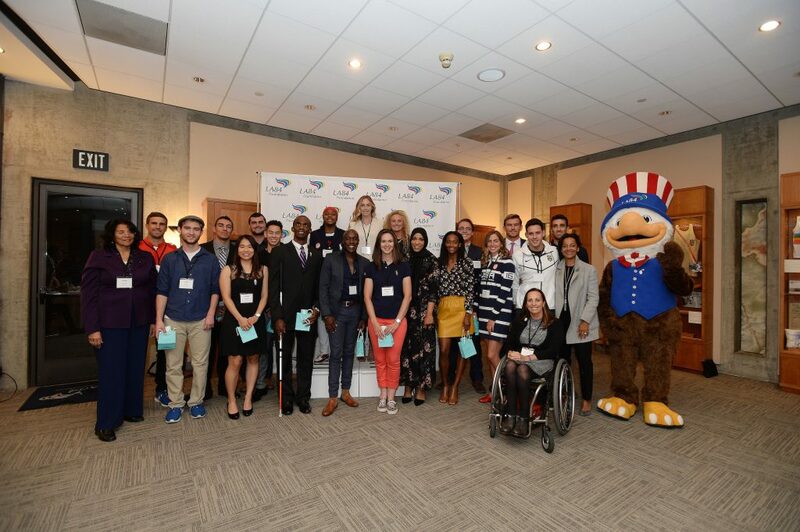 Several of the Summit panelists also joined close to 50 Olympians and Paralympians at the LA84 Foundation headquarters last night for an official “Welcome Home from Rio Celebration.” 18 of the athletes who competed in Rio joined the Southern California Olympians and Paralympians (SCOP) alumni group. The event comes on the heels of other Team USA post-Rio celebrations at the White House and at the USOC Assembly in Colorado Springs. 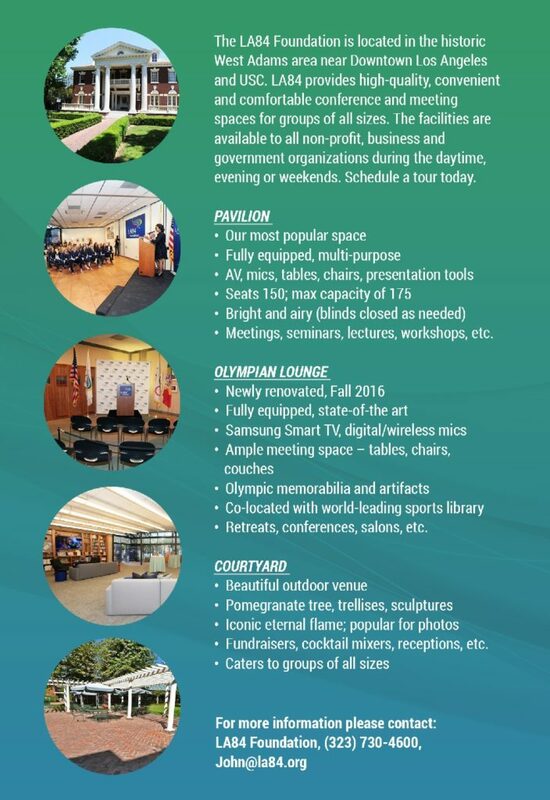 LA84 celebrated 2016 Rio Olympians and Paralympians at the foundation. 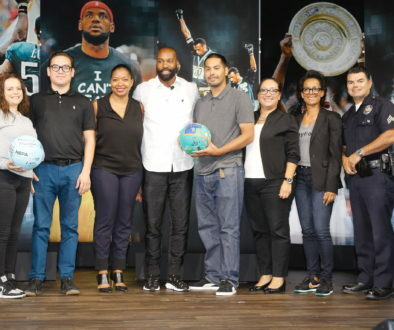 Sponsors for the Summit included: Fox Sports West, The Los Angeles Times, The Los Angeles Dodgers Foundation, County of Los Angeles District 2, Los Angeles Football Club, Cal State Northridge, LA2024, Supervisor Mark Ridley-Thomas and KCRW. See the latest from LA84 here.